Want your own horse? How about a magic foal, gorgeous story, poster and puzzles? 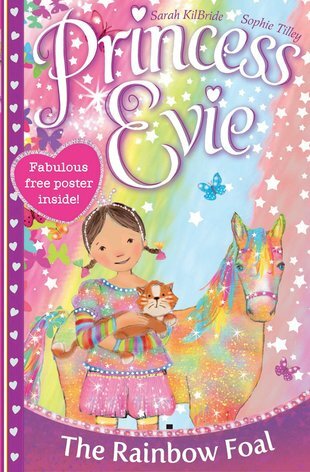 Join Evie as she tries to find a very special missing foal in time for the Rainbow Blossom Festival. We’d say Evie’s new series of chapter books is the best thing since sliced bread. But really it’s more like the best thing since scrummy hot cinnamon toast! All the charming pictures you know and love are still right here in black and white. Plus, the longer story means Evie can pack in even more magic.